Sylvia Mae Londo died peacefully at home. She was born in Sturgeon Bay, daughter of the late Richard and Florence (Werkeiser) Ash. Sylvia attended Sevastopol High School and was a lifelong member of St. John Evangelical Lutheran Church in Valmy. On June 5, 1948, she was united in marriage with Darold John Londo. Darold and Sylvia were dairy farmers for 40 years. Together, they were blessed with three wonderful children, six grandchildren, and six great-grandchildren. Sylvia enjoyed helping out with church functions whenever possible and caring for the elderly and her precious grandchildren. After retiring, Sylvia and Darold spent their days gardening many vegetables and beautiful flowers. Their farm was often referred to as a piece of heaven on earth. Sylvia is survived by her children, Dale Londo, Jane (Kenneth) Larson and Barbara Londo; grandchildren, Scott, Gayle, Stacy, Carrie, Kelly and Robin; and great-grandchildren, Cameron, Dane, Troy, Jackson, Westyn and Sylas. She was preceded in death by her parents; husband, Darold Londo; three brothers; and two sisters. 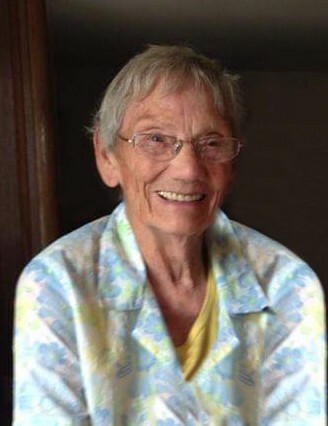 Sylvia’s life will be honored with a funeral service on Saturday, Feb. 9, at 11 am at St. John Evangelical Lutheran Church in Valmy, with Pastor Benjamin Enstad officiating. Sylvia will be laid to rest next to her husband, Darold, in the church cemetery. Family and friends may call at Huehns Funeral Home in Sturgeon Bay on Friday, Feb. 8, from 5 until 8 pm. A devotion will conclude the evening at 7:30 pm. Visitation will continue on Saturday, Feb. 9, at St. John Evangelical Lutheran Church in Valmy from 10 a.m. until the time of the funeral service. Expressions of sympathy, memories and photos of Sylvia can be shared with her family through her tribute page at huehnsfuneralhome.com.